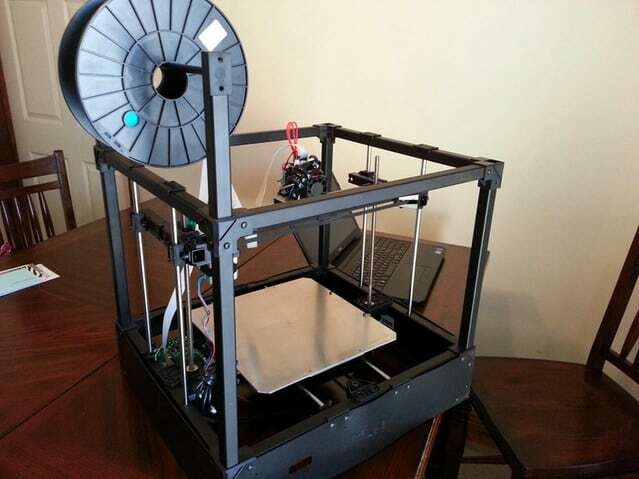 RigidBot 3D Printer Review 2019 - Is This 3D Printer Worth The Money? The story of the RigidBot 3D printer is as much a cautionary tale as an artifact from the heady days of the first commercially available home consumer printers. Hot the heels of a phenomenally successful Kickstarter campaign that raised over $1 million, creator Michael Lundwall looked to offer budding makers with an affordable, quality product that was easy to use. Marred by manufacturing issues, angered backers, and rising costs, the campaign barely managed to ship out all the promised units, culminating in Lundwall filing for bankruptcy after four years of toil and mismanagement. Aside from the sad end to such a promising start, the RigidBot remains a pioneer in today’s 3D printing landscape. So what exactly does the RigidBot offer? Let’s dive in. In keeping with its name, the RigidBot is a sturdy printer thanks in part to the robust frame made from steel frame rodes supported by injection molded corners and an acrylic build platform. The Rigidbot is among the most stable printers around and fully deserves praise for the simple, yet reliable build design. In a twist on the usual setup of printers, the RigidBot is expandable through a set of injection molded plastic joints that allow the user to swap in and out steel bars of varying height to achieve their desired size on the X, Y, and Z axes. Said bars aren’t part of the shipped package, although they are readily available at any hardware store worthy of the name. The actual process is simple enough and involves unscrewing the existing rods and replacing them with the new ones. The aesthetics of the RigidBot aren’t anything to write home about by any stretch of the imagination. The design is minimal and functional with sharp angles and minimal embellishment all in a standard black color. We understand this lack of aesthetic appeal is linked to keeping the manufacturing costs down, but this sentences the Rigidbot 3D to a workshop rather than a home office. 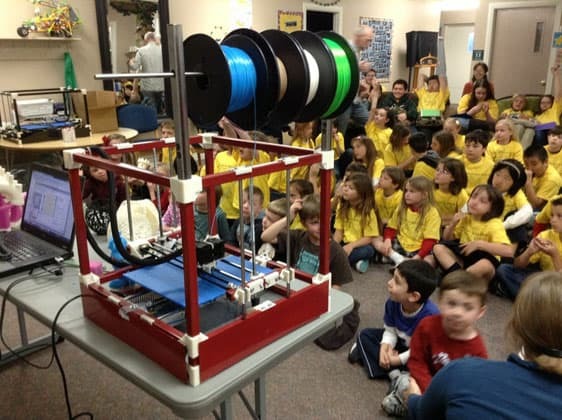 The lack of protective casing means the RigidBot isn’t suited for educational contexts with younger users, which is surprising given this printer was often touted as a user-friendly, educational option. We would feel uncomfortably demoing prints in front of unversed crowds likely to unwittingly touch hot parts. 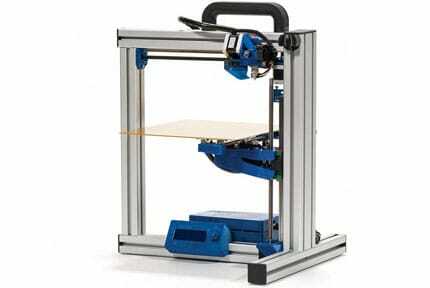 The Rigidbot 3D printer sticks to the Cartesian design with the XYZ supported by linear motion bearings. The stepper motors use 1.8 step angle with 1/6 micro-stepping with the X and Y axes managed by the extruder holding rods, while the build plate moves around on the Z axis. The Rigidbot has a good build area of 254 mm x 254 mm x 254 mm. Layer resolutions vary from 100 microns at the highest speed setting, to 254 microns on the lowest, all using a 0.35 mm nozzle diameter. The single extruder is of the direct drive variety and uses it uses Fused Filament Fabrication technology and ships with a heated bed (that can reach up to 100-degrees centigrade and displays a cluster of positioned red LED when in use) while the build plate itself is a standard aluminum build. Interestingly there’s scope for a dual extruder upgrade with the existing hardware already in place – a vestige of a Kickstarter pledge category that included dual extruders. 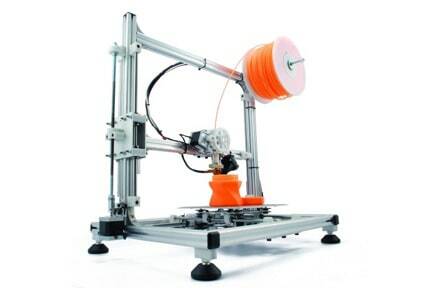 Filament wise, the Rigidbot uses standard fare 1.75 mm diameter filament and supports PLA, ABS, Laywoo-D3, and Nylon. 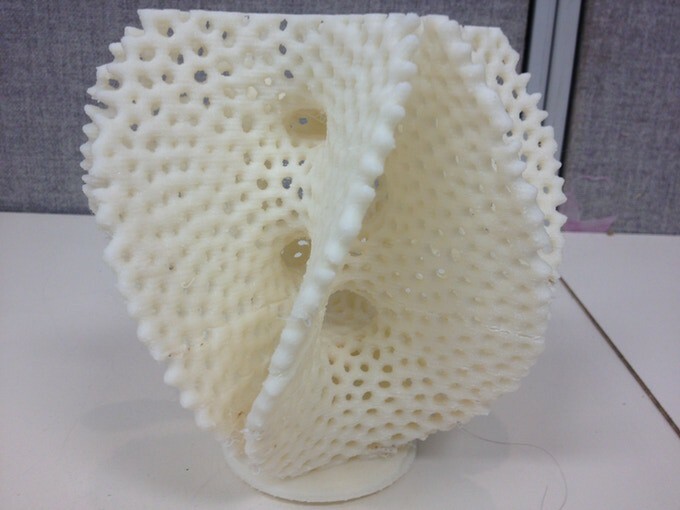 It tends to work best with PLA, but we’ve had reasonable results with other materials. 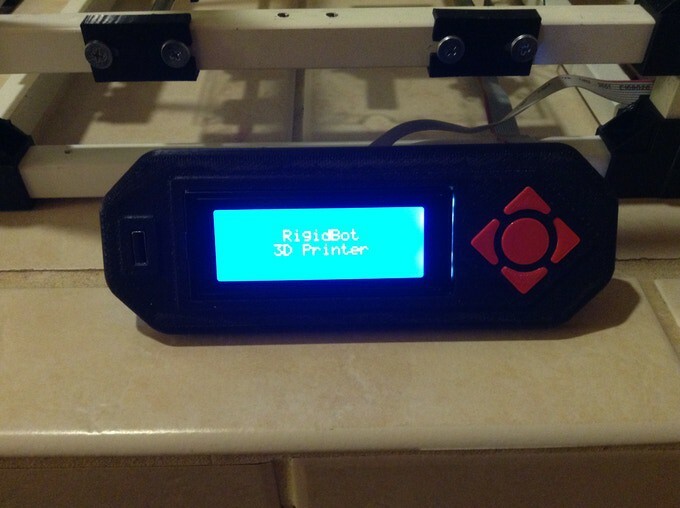 The Rigidbot covers connectivity reasonably well with a USB port for untethered printing as well as a USB connection to a PC. 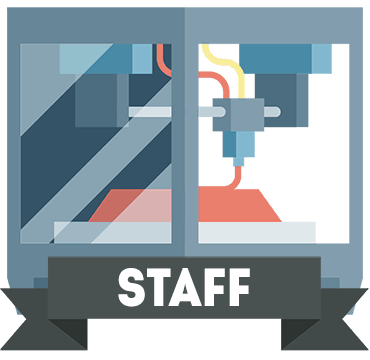 As an open-source printer, it supports all manner of slicing software including Cura, Pronterface, and Slic3r. It can also read STL, Obj, GCode files. It’s the usual process of slicing in software, transfer to USB, plugging the flash drive into the printer, choosing the file and triggering the print. An affixed LCD control panel manages on-printer controls with five button controls to navigate, which we found to be responsive and useful listing barebones information (temperature, X, Y, Z calibration details, and instructions), but more than enough for functional use. 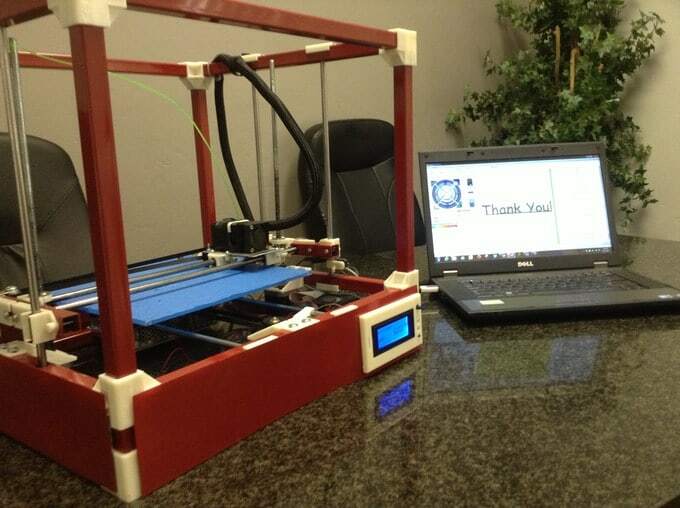 The RigidBot 3D printer is shipped in both a kit and assembled format. In kit form, the package includes all the parts including any add-ons linked to stretch goals on Kickstarter. Chances are if you are buying it now, you’ll get it second hand so what comes in the box is a matter of luck. Those that received them during the campaign did, however, complain about missing hardware, so be wary that there is a risk. The printer is packaged well with ample amounts of styrofoam for transit protection. The components and accessories are organized in trays of protective styrofoam cutouts that protect each part individually – a nice tough that suggests some logistical foresight. Our model was of the pre-assembled variety and once out of the box required calibration work. Plug in the PSU, switch to the correct voltage and then connect the USB cable. As a tinkerer’s dream, the mechanical setup of the RigidBot isn’t straight forward. It involves tightening axes screws, limiting axes, and leveling the build plate. The calibration is manual and involves adjusting a set of leveling screws on each of the four corners of the bed. From there, it’s a frustrating game of back and forth between the edges trying to level the bed by eye. First timers will suffer while veterans should find it arduous, but not overly complicated. At this point, we strongly wished the RigidBot had an auto-calibration feature. Note that once the bed is leveled, it is pretty hard to dislodge and stays perfectly in place, so there’s a silver lining. Next, you’ll need to feed the spool through the thin steel rod that is called a spool holder, but which we feel is grossly insufficient and prone to movement. Then, you’ll have to feed the filament into the top of the extruder by pushing down on the gear release switch. Feeding the filament is surprisingly simple and easy to do. From here, we can begin printing. 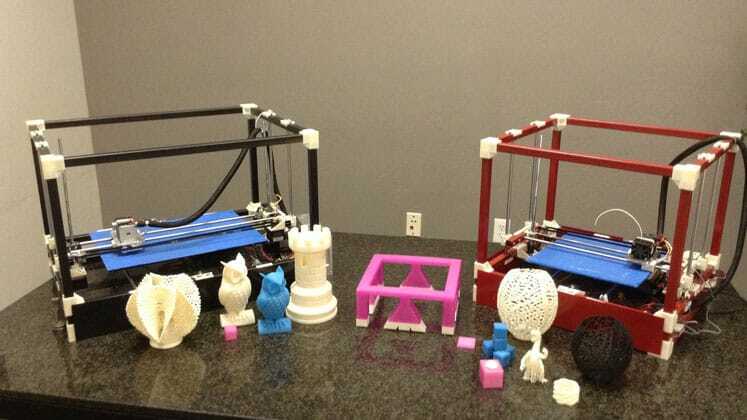 Belying its price and build, the RigidBot consistently produces quality prints even at fast speeds, although slower speeds produce better prints as is the case with any printer. We did encounter the occasional issue with layering mishaps, but these tend to be few and far between. Overall, the RigidBot is versatile from small detailed prints to larger decorative pieces. The build area is a bit of a double-edged sword: ABS prints were prone to warping especially on the base, while PLA worked well time after time. We also recommend using blue painter’s tape every time. Without out it removing finished prints involves more force than we were comfortable using especially for more intricate projects. There was always a sense that we could sentence 25 hours of work to the trash can with one false move. Our biggest gripe with the RigidBot is the straight up awful and dangerous power supply unit. We won’t mash our words, it’s a fire hazard, and though we didn’t experience this first hand, the internet is littered with horror stories of these PSUs catching fire unexpectedly. The power supply unit is a mess of cost-cutting oversights with shoddy soldering, botched circuity, and low-quality components. There’s a shot circuit disaster lurking around every corner. Besides, it’s overpowered for the printer. Invest in a replacement PSU as soon as you can. Given that the RigidBot 3D printer is no longer manufactured and the company behind it is now defunct, there is no official, sanctioned assistance. The RigidBot website is also offline so what used to house a host of tutorial videos and articles is now empty. There remains, however, an active community of RigidBot enthusiasts who are more than happy to provide a helping hand to first timers, as well as advice and access to official documentation. Invent-A-Part, a company associated with the RigidBot also has a few instructional videos on YouTube about the printer, which can be helpful, and also sells replacement parts. When buying the RigidBot, more than likely second hand, you are taking somewhat of a risk. As such, we highly recommend picking it up for a low price to balance out the potential for a dud project and the cost of upgrades. Due to its age, the RigidBot is beginning to feel outdated with numerous improvements in both component technology, design, and functionality making the printer feel somewhat obsolete. 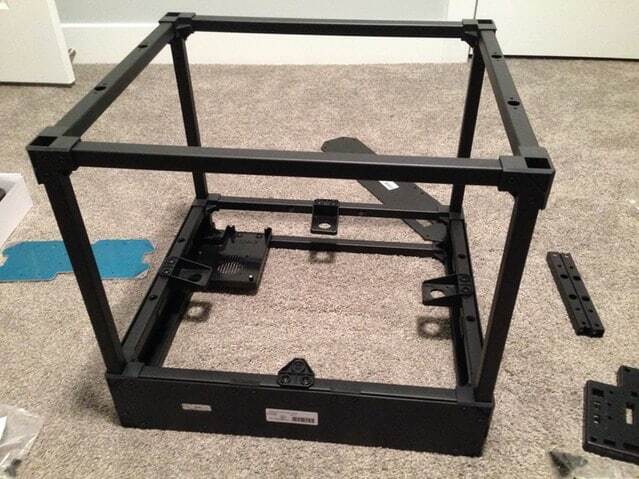 With that said, the RigidBot remains a highly customizable printer that cries out for modification. The near modular design means replacing and upgrading parts is relatively easy and encouraged. The print quality isn’t in question: it performed well especially if we consider the low price. The only real technical gripes were the PSU, the low-quality spool holder, the absence of parts that a selection of users experienced, and the sense that some of the hardware was manufactured with the sole aim of cutting down on manufacturing costs. In many ways, the RigidBot is an ideal skeleton printer for a tinkerer that wants a strong starting block for an involved, mod-heavy project. 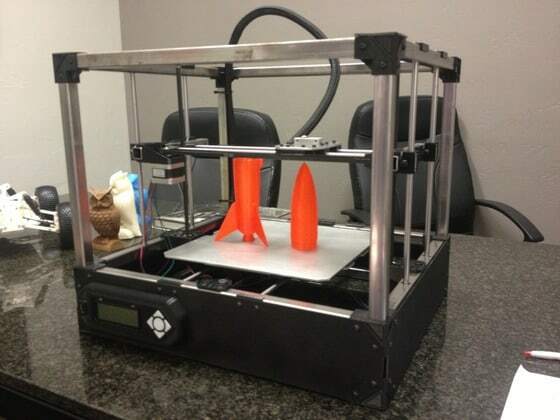 The RigidBot offers the perfect foundations to build a stellar kit-style printer. First timers may struggle with the intrinsic tinkering (and tricky leveling demands) involved in using this printer, and we can’t recommend it in that respect. Although it produces quality prints overall, the RigidBot is a tinkerer's 3D printer by definition and is only really suited to an established builder who can handle a modding project. The problems that did arise were somewhat critical, even dangerous, so we can’t in good faith recommend this as a novice 3D printer.